March 28, 2017 edit: I am updating this post to make it current, as the 2014 version was pre Kintsugi. The majority of this text was written in September 2014. 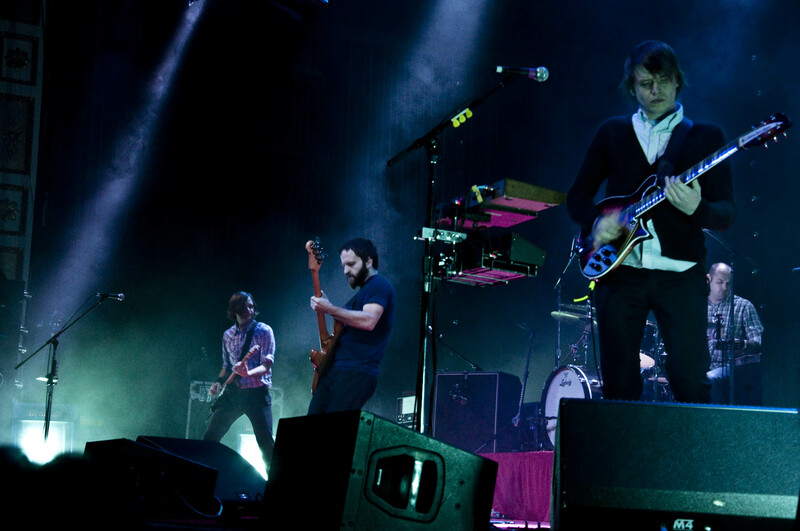 Recently Chris Walla announced he would be leaving Death Cab for Cutie after their next tour, which coincides with the upcoming release of their 8th studio album (early 2015). Because of that, there has been Death Cab news all over the web in response. I began writing this post over a month ago, as I recently moved to Germany from the US, I didn't have internet at home for the first month, so blogging has been the last thing on my mind. But, I am WAY overdue for a post, and Paste Magazine inspired me as they posted a top 10 list of Death Cab songs. The Paste list, found here, is terrible. I seriously doubt a fan of the band wrote it. Without ripping it to shreds, I’ll just post my own list. I have been a fan of Death Cab since 1999, so almost the beginning. The first album I bought was We Have the Facts and We're Voting Yes and I saw them on tour for The Photo Album. I am not trying to defend my credentials, but I have them. About Chris Walla’s departure: he is essential. Obviously Ben Gibbard is the voice and writes all the lyrics, but Chris Walla’s production and instrumentation are awesome. Grantland, a sports news website, published this terrific article about his contributions. 7. "I Will Possess Your Heart" from Narrow Stairs (I hate Narrow Stairs. HATE it. But I love this song. I bought the 7” single before the LP came out, and it would have been fine if the full-length had never seen the light of the day. Every other song on the LP, with maybe the exception of "Bixby Canyon Bridge", is completely forgettable). 3 and 2 and 1. Ridiculous and amazing that these three songs are back-to-back-to-back on the same album—Transatlanticism. If I was going to introduce Death Cab to someone this is where I would start: "Tiny Vessels", "Transatlanticism", and "Passenger Seat". The middle of these three songs was performed at my wedding in 2004. Final note: It is obvious that my favorite Death Cab for Cutie album is Transatlanticism. After you have explored that album in depth, check out the recently released Transatlanticism Demos, which is the demo version of all 11 songs on the album (only $5 at Barsuk.com). Edit: I didn't know it at the time, but I actually posted this blog the day that Death Cab played their final show with Chris Walla. You can watch the final song from this show here.